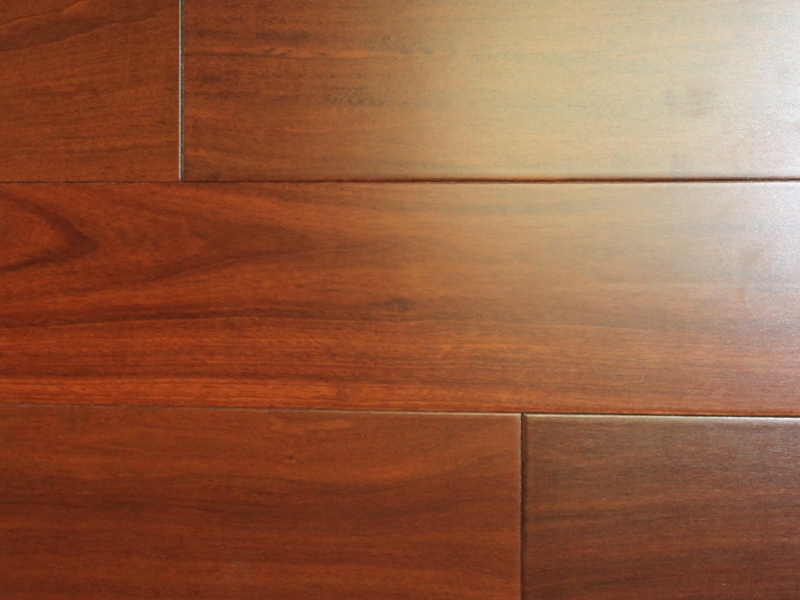 Brazilian Cherry | SCS Hardwood Floors, Inc.
General: The heartwood is a salmon red to orange brown when fresh, russet red brown when seasoned and often with dark streaks. The sapwood is usually a white, gray or pinkish. The texture is usually medium to coarse. 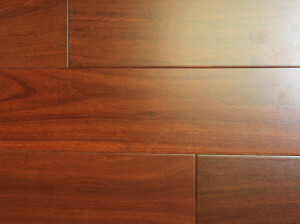 Brazilian Cherry is naturally rich in color, but can accept stains and paint. Brazilian Cherry has a rating of 2820 on the Janka Hardness Scale. It is well known for its superior hardness, resistance to brown rot, white rot fungi, dry wood termites and its durability, making Brazilian Cherry suitable for residential and commercial uses.